Continuing our offerings of high school yearbooks from Liberty, Sullivan County, New York, we’re happy to present the Libertas yearbook for 1964. For a few things did get better. We like to track the career of Alan Gerry, the Liberty entrepreneur who built the Cablevision empire and who was the foundation of the arts center in Bethel commemorating the Woodstock festival (as well as many other good works throughout Sullivan County) from year to year. In 1964 his business is “Alan Gerry’s TV & Appliance Co.” while it had been “Store” in the previous year’s Libertas. Was he thinking bigger? In the photo in the ad, a young man with a crew cut is holding a 12 string guitar – a bit of disruptive technology in the music world, and not something one would have seen in Liberty two years earlier. Who knew? Would these well-scrubbed Liberty kids eventually would be in enthusiastic attendance at that Woodstock festival Gerry subsequently memorialized? In Asia, while this class was receiving their diplomas in Liberty, things were ramping up. Although it would be nearly a year before conventional US forces were deployed in Vietnam, the Special Forces and Military Advisors were already at work when this class graduated. Still, few in this class had focused on that part of the world. In terms of real change in Liberty, perhaps most important was that this class was the first to graduate from the new Liberty Central School on upper Buckley Street. They kicked the envelope by choosing white and yellow for their class colors, and created a yearbook that would stick out like a sore thumb in a stack of Libertas of previous years that tended to run to maroon and silver for their color schemes. Bob Dylan’s second album, The Times They Are A Changing, had been out for a bit over two months when this class walked down the aisle for the first-ever graduation in the Buckley Street building. Yes, the times were indeed changing, but in ways that few if any realized. To go directly to our Liberty, NY page, where, if you are so inclined, you can buy and download the Libertas yearbook for 1964, simply CLICK HERE. A full catalog of our offerings can be found at http://www.betweenthelakes.com. We invite you to visit us there as well. Here is a document of World War I history that addresses problems all nations have faced (or ignored) whenever their forces have been on the victorious side in a war or military occupation. It’s especially true in cases where most of the forces are not professional soldiers, but, of course, even professional armies tend to deal poorly with the aftermath of victory. If you’re on the losing side pamphlets like this one are, perhaps, less needed than when victory had been achieved. When the national ethos has been aroused, and the general populace is highly supportive of the war effort and of the soldiers, perhaps this sort of pamphlet is more needed than, for example, when U. S. forces returned from Vietnam to a hostile or indifferent population. The underlying objective of To The Homeward Bound Americans is to try to make the boys behave themselves, difficult as that may be. The design reinforces this message. Inside the front cover is a place where the soldier is to paste a photograph of himself, and a box below it where he is write his name. It’s a very clear effort at personalizing what follows. Drawings of President Wilson and General Pershing, as well as heads of allied forces and nations, together with quotations intended to inspire cooperation and good conduct, occupy the next few pages, followed by an inspiring passage by Field Marshal Foch of France. Perhaps anticipating that returning troops, on their way back through France, would find themselves interacting with troops and civilians of allied countries, especially France, some history of American involvement in the Great War itself follows, beginning with a section about the American arrival in Paris, and continuing with material about the logistical support, both organic and French, the American forced initially provided. The battles in which American troops were involved are then recited, with statistics where applicable (and one wonders whether these might not be included to aid in resolving barroom arguments before they turned nasty, as men of one unit might be expected to offer accounts of engagements that inflated the accomplishments of their unit and diminish those of other units). In the Armistice chapter, the remarkable educational efforts, in which 6000 American troops took courses at French universities and 10,000 more at a hastily assembled American University at Baume. It continues to compare and contrast American culture versus French culture, in an effort to create at least limited understanding among American troops that while the French do not behave exactly as Americans might in any given circumstance, there are excellent historical reasons for the differences. We suspect the next chapter, “The French Woman,” may have been one of the principal reasons the pamphlet existed. For American soldiers, who months ago lived in a relatively free-wheeling culture where women were steadily achieving something beginning to approach equality with men, the change to the then-rather traditional French culture with most young women kept closely monitored must have been a surprise, must have been jarring, and no doubt was responsible for social missteps that created ill-feeling – and worse, as well. The chapter is as delicate as the times dictated. Again, to help American troops recognize that while they may have been critical to success in the final stages of the war, other countries suffered greatly, and were at this – on their own turf – for years before the American arrived, are chapters entitled “What Others Gave” and “What France Gave”. All in all, To The Homeward Bound Americans is an effort to get troops to behave themselves, in our opinion, without providing a set of rules to follow. Military discipline ostensibly provides that, but this booklet hopes to offer justification for better behavior than might otherwise be expected of a conquering Army. We think To The Homeward Bound Americans is potentially useful in better understanding the cultural differences between the American Expeditionary Forces and the French citizenry at a time when problems could be foreseen, and in some cases did occur. Between the Lakes Group is happy to offer this addition to our Military History collection, and to the part of it devoted to World War I. We encourage you to visit our Military History page as well as our general catalog and consider which of our downloads might be useful to you. 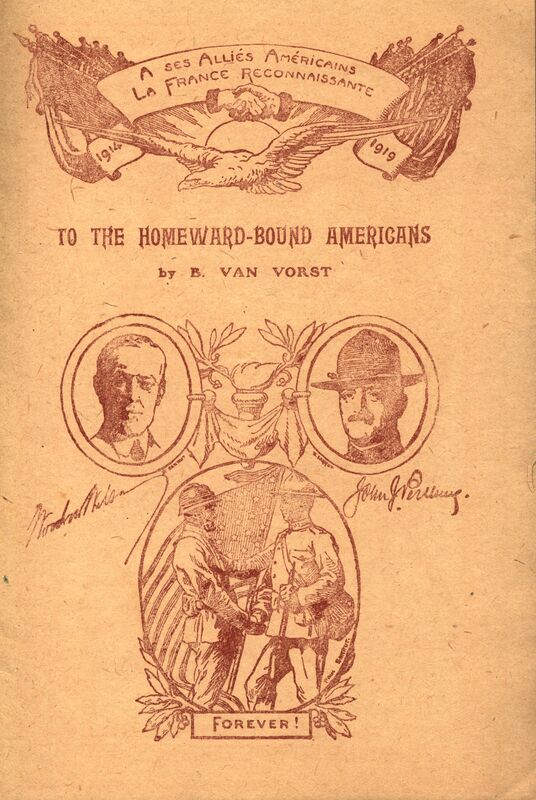 To download To The Homeward Bound Americans, please visit our World War I page. CLICK HERE. 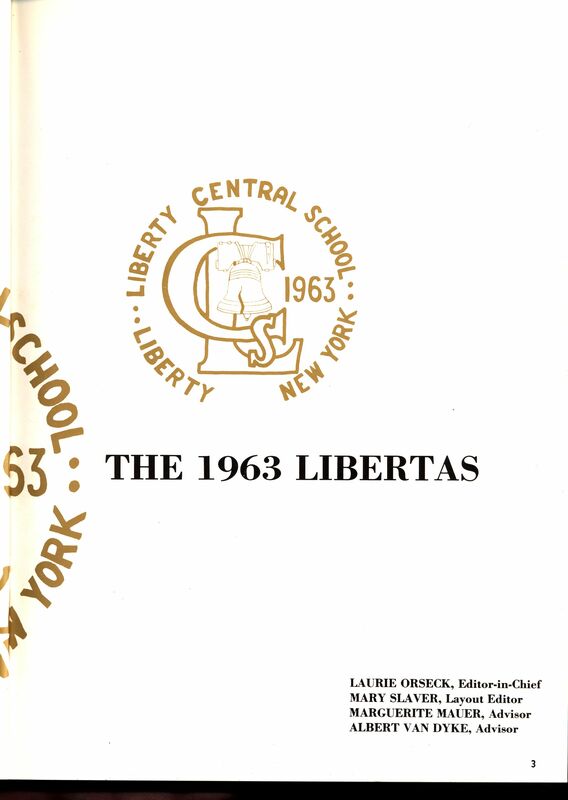 The Libertas yearbook for 1963, from Liberty Central School, in Liberty, Sullivan County, New York, is another in the series we have been publishing from that school. Of course, it’s not “just” a high school yearbook, it is also an item of New York State history, and now it is once again available. For some it did get better, and quite a bit better at that! As an example, Alan Gerry, the Liberty entrepreneur who built the Cablevision empire and who was the foundation of the arts center in Bethel commemorating the Woodstock festival (as well as many other good works throughout Sullivan County), is mentioned in these pages as “Alan Gerry’s TV & Appliance Store” among the advertisers. Who knew? And how many of these well-scrubbed Liberty kids eventually would be in enthusiastic attendance at that very Woodstock festival, for that matter? In Asia, while this class was receiving their diplomas in Liberty, the United States was beginning to get seriously involved in what became the Vietnam war – but who in this graduating class realized that this war and its social manifestations on the home front would shape the nation for the next half century and more? Who had any sense that the shiny new high school currently under construction on upper Buckley Street would be graduating seniors who looked far different from this class in not so many years, and that Grossinger’s would be gone, along with most of the resort industry and most of the tax base that financed Liberty Central School in 1964? 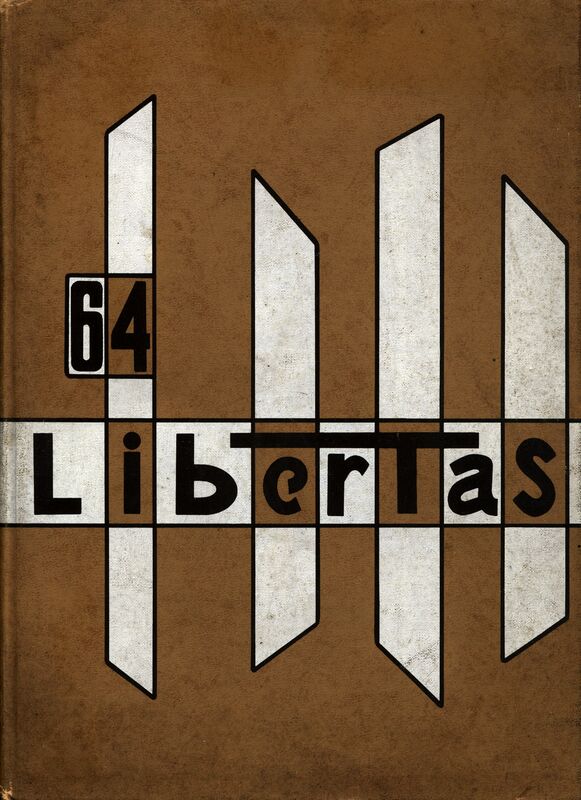 Yes, there is emphatically some history in this yearbook, the Libertas yearbook for 1963 – and particularly in this one yearbook in the long series of Libertas. We think it is emphatically to the credit of the editors of this yearbook that they seized upon the fact that this was the 50th graduating class from Liberty High School (at this time, Liberty Central School) and projected the sense of history that this anniversary merited, if for that reason alone. Please CLICK HERE if you would like to see our offerings from Liberty, New York, which now include the Libertas yearbook for 1963. A full catalog of our offerings can be found at our main website, http://www.betweenthelakes.com. We invite you to visit us there. We are happy to bring you the Annual Report for Montpelier, Vermont 1908! 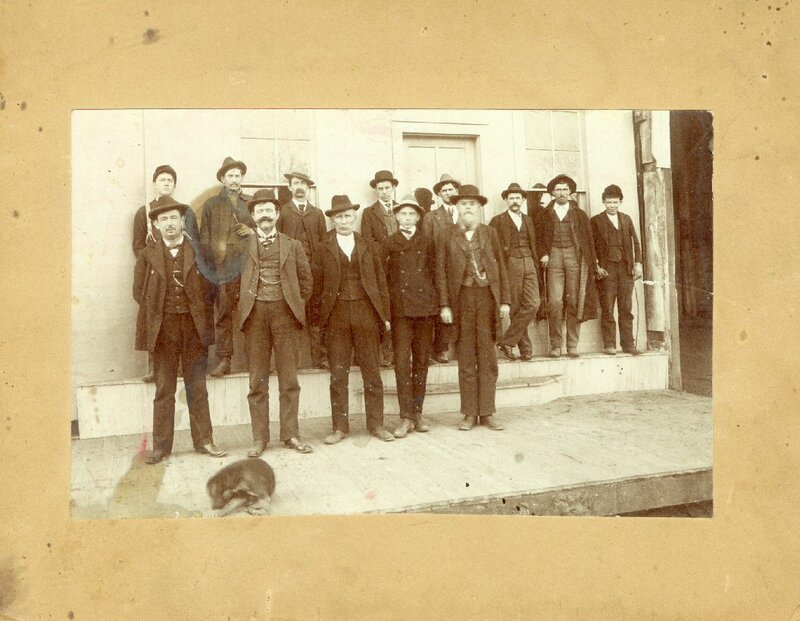 Annual reports of towns (and cities) are a frequently overlooked historical resource. While they seem still to be regularly produced in New England, they are less common elsewhere in the United States, but in New England they are a very useful snapshot of a locality at a specific point in time. Unfortunately, they are a bit difficult to locate unless you happen to be in the town you are researching and can stop by town hall and see a copy. The local library will likely have a collection of them as well, but they will not have the annual reports for other area towns, and there is always the risk that someone seeking to “freshen up” the library’s collection will have disposed of the historical reports, keeping, perhaps, the most recent few. One tends not to find them very often in the used book arena, perhaps because few people perceive much value in them. When we see one available we tend to grab it and, in time publish it. But we’ve also noticed that, because they are under-appreciated, they tend not to sell very well for us. Less hidden or disguised are the names of recipients and dollar amounts of support provided to the poor who were not housed on the city farm. Another tidbit from this report. In what appears to be the public works department report, it shows regular expenditures for prison labor, evidently to work on the roads. For those who associate prison labor with chain gangs in the Deep South, this appearance in Vermont comes as a bit of a surprise. We also noted with interest that back in the day of unpaved streets, Montpelier seems to have provided wooden crossings and maintained them at some expense. Of course those were the days before gasoline or diesel-powered construction equipment, so one finds abundant references to renting teams to power the public works projects. However, not all streets were unpaved! Main Street, South Main Street, and State Street all had macadam roadways laid in 1907, and concrete sidewalks were laid on Summer Street, Elm Street, North Street, Liberty Street, Winooski Avenue, and Northfield Street. Possibly Main Street, South Main, and State already had them – or perhaps not. That is one of the frustrations of dealing with annual reports. One gets a view of a specific year with little in the way of reference points to what had already been done or what was to be done in the next year. However, we do appreciate what they can tell us! You can purchase this download on our Vermont page. CLICK HERE to go directly to that page. Sesquicentennial Historical Address — Sussex County, NJ sounds like a solemn and impressive bit of history. This address, By Francis J. Swaze, part of the sesquicentennial observance of Sussex County, was delivered at Newton, NJ on September 2, 1903. While it claims only to be accurate through the Civil War, it’s interesting that the extractive industries (iron and various other minerals) get short shrift here despite their role in American history beginning with the Revolution – or even before; “The Old Mine Road” is one of the oldest thoroughfares mentioned in colonial-era literature. As we look at the history of this county today, we see these industries as perhaps the most important part of the county’s history. That said, we understand and appreciate the traditional emphasis on farming and related aspects of country life, and exploits with regard to the native Americans and in the Revolution as being of greatest interest to the audience for these remarks back over a century ago. In addition to the history captured in this address, one can read it to get a better sense of priorities in American thought over a century ago. Further, considering this was an address to people who lived in the county a long time, and whose ancestors were likely among those mentioned, this would have been a crown-pleaser. All in all, it’s a useful document! And it’s now available for download. Read more about it on our New Jersey page! We’re happy to say that with the availability of these Neversink Downloads, we’ve completed the migration from CD-ROMs to exclusively downloads! “Old Neversink” was our all-time best-selling CD-ROM, and, appropriately, it was the last to completely migrate to our modern world of downloads. Considerably more information about each of these is available on the Neversink page, so rather than simply say it again here, please have a look there! Annals of Winchester, previously one of our best-selling CD-ROMs, had been unavailable since we discontinued our CD-ROM business to concentrate on low-cost, immediately available downloads. However, we’ve had several requests for this classic, which, to anticipate a question we were asked many times about the CD, Annals of Winchester DOES include the history of Winsted. If you are seeking historical information about the Town of Winchester, or Winsted, or the people who lived there and the businesses that made this an important manufacturing center, Annals of Winchester is pretty much the go-to source. It is indexed — and we have added an additional index of place names that we compiled — and, since it is in PDF format, easy to use on any computer. There’s lots more information available on our Annals of Winchester page, so please have a look. If you considered buying the CD originally but were put off by the price tag, you will find that the download version is a small fraction of that amount — and has the advantage of being an immediate download, not something you have to wait a week or more for the Post Office to deliver. So, CLICK HERE to go to our Annals of Winchester page. And join us in celebrating that Annals of Winchester is back! More than a decade ago, Geoff Brown, the Principal Partner of Between the Lakes Group, was asked by the Upper Housatonic Valley National Heritage Area to conduct a Lime Rock Walking Tour. He repeated the tour by request a few years later. Trinity Church in Lime Rock graciously hosted the tour and provided hospitality as well as access to their archives. Lime Rock Park provided a highly knowledgeable historian of the track to tell us a bit about that internationally known institution from an insider’s point of view. Many others helped in ways too numerous to mention. But there was one problem. A number of people told us they would like to go on a Lime Rock Walking Tour, but they were not physically capable of walking the three miles that even a minimal tour would require. What could we do? The answer was soon in coming: we would prepare a Powerpoint slide show of the walking tour, and while those up to the walk could experience it in real life, those who could not would be able to watch the slide show in Trinity’s Walker Hall in comfort. As we prepared the slide show, it quickly became clear that we would be able to put far more information about Lime Rock in the slide show than actual participants in the Lime Rock Walking Tour would actually get to see. We could include sights too distant to walk to. We could include historic photos and maps of features of Lime Rock that were no longer there. We could include concise summaries of things we would talk about on the walk. We could include photos of sights that still remain that are not accessible because they are on private property. Ultimately, the slide show accompanying the Lime Rock Walking Tour became considerably more comprehensive and satisfying than the tour itself! Subsequently, we decided to make the slide show of the Lime Rock Walking Tour available as a CD-ROM. We sold quite a number in that format, but when the time came to retire our CD business, the slide show became unavailable. However, we recently resurrected the slide show and, realizing we could republish it as a PDF file, could include even more information and photos than the slideshow format permitted. For example, we could provide the old maps in a way that people could study them as long as they wanted. We were able to add considerable information that would have passed too quickly to be absorbed in a slide show. We could even improve on the original slide show by incorporating information unearthed since the slide show was created. Coincidentally, we had two “real” books in the works. Research for our forthcoming “The Lakeville Crucifix” and “History of Trinity Lime Rock in Context” had turned up huge amounts of information that permitted an updating of the Lime Rock Walking Tour slide show that genuinely improved it. This is all in the way of announcing that the new, enlarged and enhanced Lime Rock Walking Tour is now available as a download in PDF format. Now 141 pages long, we feel that it is something that belongs in the collection of any student of Lime Rock or the Town of Salisbury or the historic iron industry of the Upper Housatonic Valley. More information and an opportunity to download the document are on our Lime Rock page. We encourage you to take a look! CLICK HERE to find out more about it!